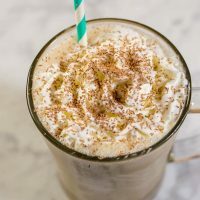 White Russian milkshakes are a twist on the creamy cocktail: coffee ice cream, milk, whipped cream vodka and coffee liqueur blend together in a frozen twist on the classic drink! This post was originally published on August 19, 2014. Milkshakes have been a favorite treat of mine for a long time. My father would make them on extra-hot summer nights as a treat for my brother and I. We would get our nightly showers, get on our pajamas, and come downstairs to have milkshakes (vanilla for my brother, chocolate for me) while we watched the Phillies game with my dad. The memory is still so fresh in my mind that I can smell the warm summer air drifting in through the screen door from the backyard, and I can almost feel wet hair on the back of my neck. I may have grown up, but I have not grown out of milkshakes. I still love a good, frothy, creamy shake. Plus, now that I’m an adult, I can add some extra ingredients! Just about any creamy cocktail can be turned into a boozy milkshake. Take one of my favorites: White Russian milkshakes. 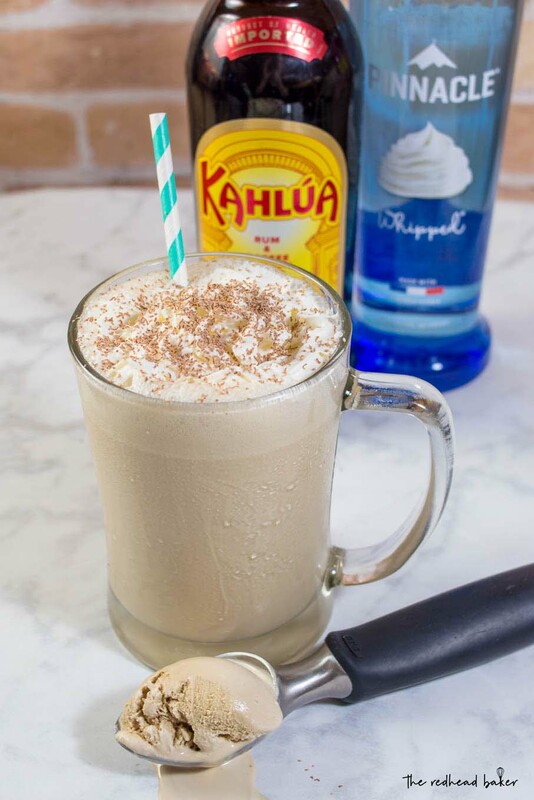 Typically, a White Russian is a cocktail with Kahlua, vodka and cream. To turn this into a milkshake, I used coffee ice cream and milk, then added the Kahlua and vodka. I only had whipped cream vodka on-hand, but regular or vanilla vodka would also work well. As written, this is a strong drink that’s not particularly thick. If you don’t like your drinks that strong, reduce the amount of each liquor to 1 oz apiece. If you like your drinks thicker, either increase the amount of ice cream, or omit the milk. These are such a breeze to whip up. 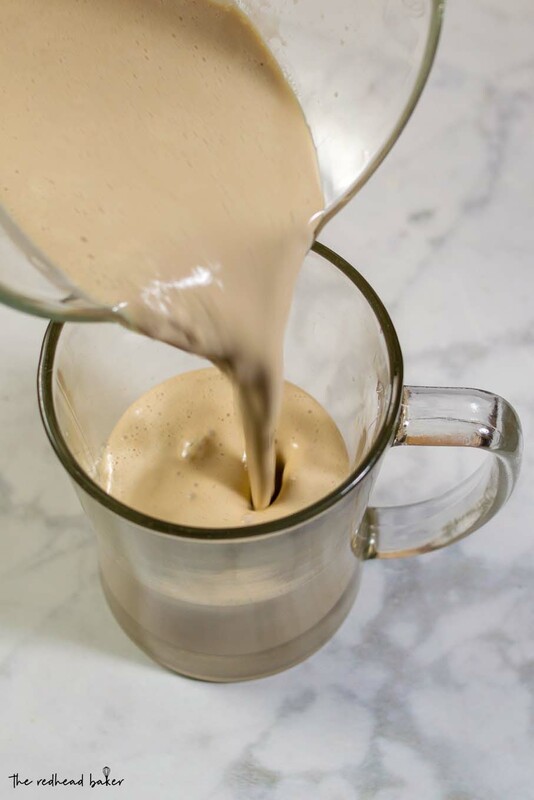 I plan on keeping a container of coffee ice cream in my freezer all summer just so I can blend up some White Russian milkshakes any warm night I need to relax with a frothy treat. Place the coffee ice cream, milk, coffee liqueur, and flavored vodka in a blender. Blend on high speed for about 20 seconds, until well-combined but still thick. Divide into 2 chilled glasses, garnish with whipped cream and grated chocolate or chocolate syrup. Oh, this takes me back to my college days! Those days of fast metabolism where I didn’t blink an eye lash ordering a cream filled cocktail. I’d still break my diet for one of these spectacular milkshakes! Sounds like an amazing pick-me-up! 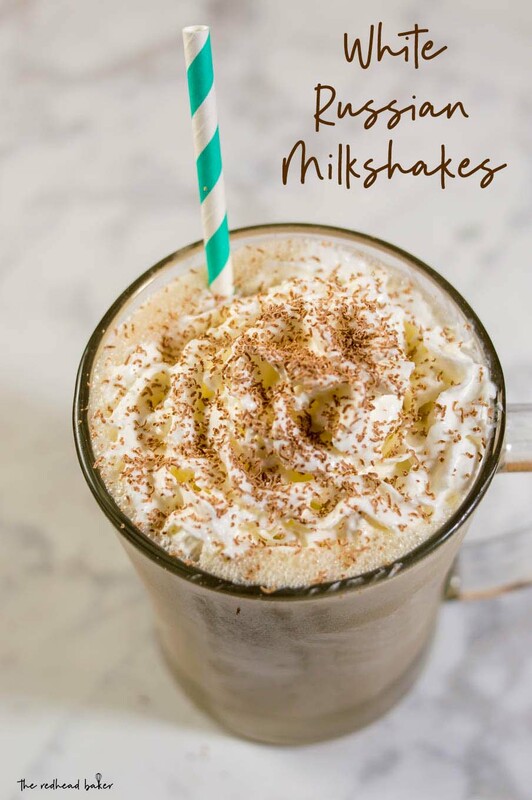 This is definitely my kind of milkshake! Gosh, it’s been forever since I’ve had a milkshake! My dad loved them too. I love your grown up version! We are going to really enjoy sipping these on the patio this summer! 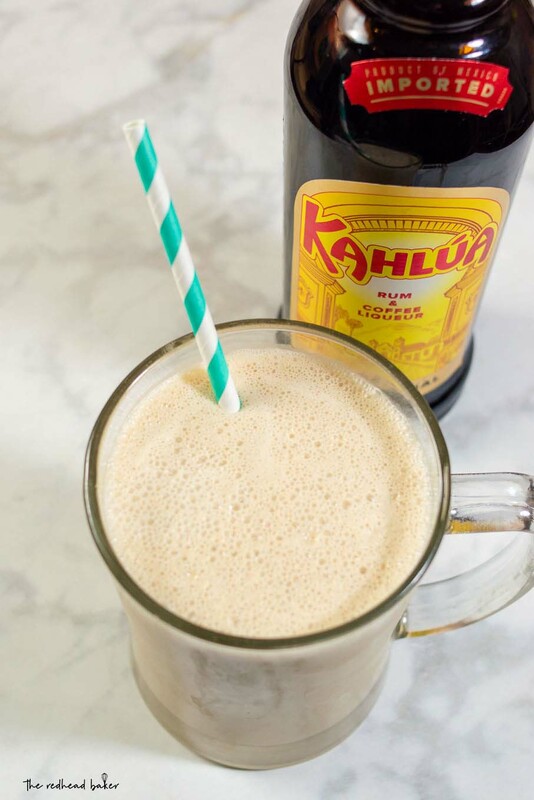 Is it weird that I have never tried Kahlua? This recipe totally makes me want to change that!!! It’s been a long time since I’ve had a White Russian! This sure brings back some memories – one of them being just how good this is! Oh my goodness does that ever look amazing?! What a great way to unwind! I want one of these. STAT. Oh my goodness. This looks and sounds amazing. This looks like a great summer-y twist on white Russians, though I imagine all too easy to sip on! I’ve made similar to this and everyone loved it. I haven’t seen the whipped cream vodka- I used vanilla vodka. Now I can’t wait to try this version! It will be perfect for some summer evening outdoors watching the stars come out after a yummy barbecue. This is perfect for a summer bbq! I love white Russians so it would seem to reason I would absolutely love this!